We are your local business in Basingstoke offering Repairs, Sales and Hire of all leading makes and models, including washing machines, tumble dryers, dishwashers, electric cookers and built in appliances. Mark Rayner the owner has over 30 years experience in the domestic appliance trade. Rayner Appliance Care ltd is a member of Hampshire County Council Trading Standards Approved Buy with confidence scheme. We repair household appliances, washing machines, dishwashers,electric cookers and tumble dryers. We hold stock of a large variety of great appliances that we deliver , set-up and install for you. we can provide house hold appliances on hire,no more repair bills making it hassle free. 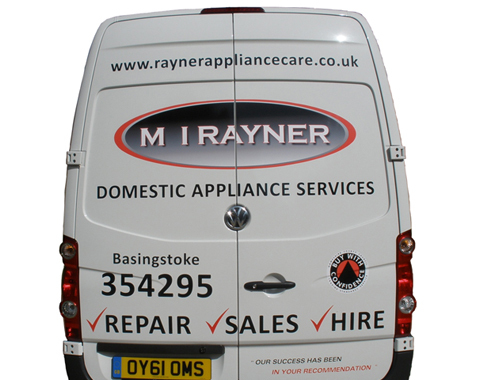 Rayner Appliance Care, run by Mark Rayner, has been serving the local community of Basingstoke and surrounding areas with over 30 years experience. Our ethos is.. "Not just sold on price,But on a quality of service provided.Thats the best value for your money." We have worked hard to ensure that all of our customers are satisfied with our work. We are proud to boast that we are highly regarded in our trade thanks to the thorough and professional service that we provide to our customers. Our success has been built upon your recommendations of our top quality work time and time again. "Mr Rayner has now saved the day twice for me, a few weeks back he fixed my cooker in less than 24 hours and again today my washing machine gave up I called at 9.30am and the new machine was delivered and installed by 4.30 pm saved me trawling round the shops on a friday afternoon .What more can you wish for that is what you call good ole fashion service with a smile :) Thank you"
"Highly recommended. Drainage pump of my Samsung washing machine went faulty. The engineer was able to identify the problem immediately and addressed it within 10 minutes. Now that I have his number with me, I am going to cancel my extended warranties of my other kitchen appliances." "I telephoned Mr Rayner about repairing an electric fan oven which had stopped working. 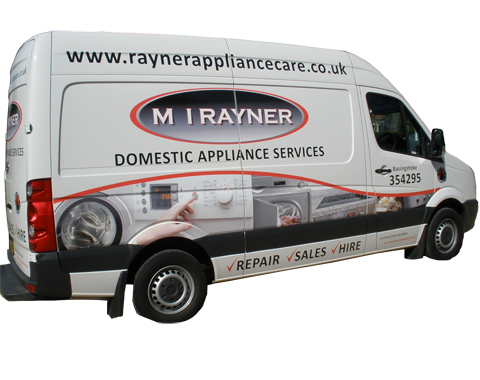 I selected Mr Rayner over other domestic appliance engineers on the strength of the above reviews - I am glad I did so as his service lived up to the reviews. He called in promptly that same morning and quickly had the oven repaired. He was extremely professional, also providing very helpful advice about some changes to my kitchen/appliances I was considering. I would certainly use his services again." "I wasn't expecting to be able to get my washing machine looked at on New Year's Eve, let alone repaired as quickly and efficiently as the service provided by Mark Rayner. I would not hesitate in recommending him to anyone in the Basingstoke area." "First class service. My washing machine was repaired the same day I phoned. I would use this service again. Nice to have a fast friendly service."